He ofcourse needs no introduction. The entire nation would have in one way or the other read about him, heard about him! His immense contribution can never be replaced. His list of works can never be mentioned at one go! 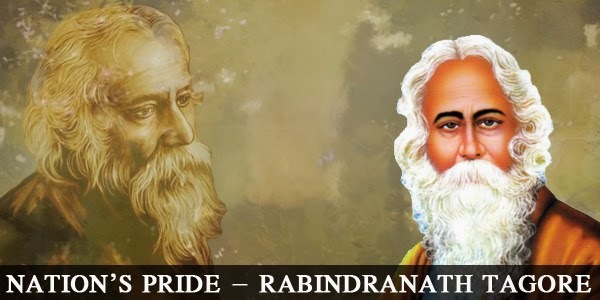 The very famous Bengali writer – Rabindranath Tagore – the man we owe all our thanks to for composing our nation’s Pride – our National Anthem. RabindranathTagore was also interested in taking his scope for visualizations a step further with ‘Direction’ too. He directed one and only film ‘Natir Puja’ way back in 1932. A man who had his thoughts leaning towards a more open-minded manner having belonged to the 19th century, he was totally against concept’s like ‘learning by heart’ which he actually thought was a very dumb way to learn something! He was known for imparting the ‘Brahmacharya’ system – where knowledge sharing happened in a practical manner leaving aside rote learning methods. Bestowed even with a Nobel prize for his beautiful and rich literature in verses way back in 1913, he definitely brought in a lot of pride for the country. Ofcourse everyone would also be aware of how the Nobel Prize was stolen exactly a decade back but now although replaced. A prodigy that he was, he started writing poems at a very young age of just 8 years. He is also the founder of the famous Viswa- Bharathi University. A man who completely believed in the value of knowledge sharing, he did a lot to spread awareness of literacy etc in the then era. Everyone at pone point of their life should definitely read his ‘Gitanjali’ that showered him with laurels. Ofcourse many writers are born but few make it an effort to spread their goodness around and he was definitely one of them. Happy birthday to this immortal legend!